Working with the transgender population and transition of voice, has certainly been a “learn as you go” process. That’s not to say I didn’t do my fair share of research. I scoured textbooks, research articles, blogs, apps, and everything I could think of to prepare myself for my first patient. I had all of these goals prepared for when she came in. I thought I knew exactly what we were going to do. I forgot one thing…what did the patient want? I forgot the most important part about healthcare and that is care plans should be individualized. Each goal should be tailored specifically for the person sitting in front of me. An important part of changing the perception of a person’s voice is changing pitch. I work with female voice patients every day who vary from the “low ambiguous pitch voice range” all the way up to the “high feminine pitch voice range.” The one thing these women have in common is that they all sound like women. As important as pitch is in transitioning, it is not the only quality that matters. 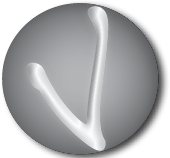 The perceptual sound of the voice is what makes a feminine voice which includes breathiness, prosody, resonance, and articulation. Your goal pitch is important up to the point that it’s not (that makes sense right?). Yes, we want to increase pitch but only up to a point that is necessary. Meaning the goal pitch might be 180Hz, or between F3 and G3 on the piano, but s/he might find that pitch sounds artificial and the client prefers the voice s/he produces at 165 Hz, E3 on piano. It is essential to understand that there isn’t a “right or wrong,” the voice you are creating should be what the client wants, not what you want them to sound like. Of course it should be a healthy production of voice that won’t cause problems in the future but it is about what the client wants. Transgender therapy is about guiding someone through the voice transition process, not dragging them there. Continuing to be open to learn allows you to be efficacious as a speech pathologist in the voice transitioning process. Admitting to not knowing everything allows you to be receptive to new ideas and provide the best care. 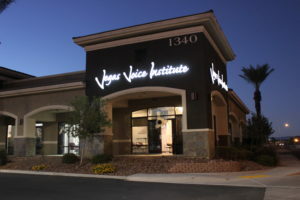 At Vegas Voice Institute we feel that listening to our clients is of the utmost importance for providing optimal care.